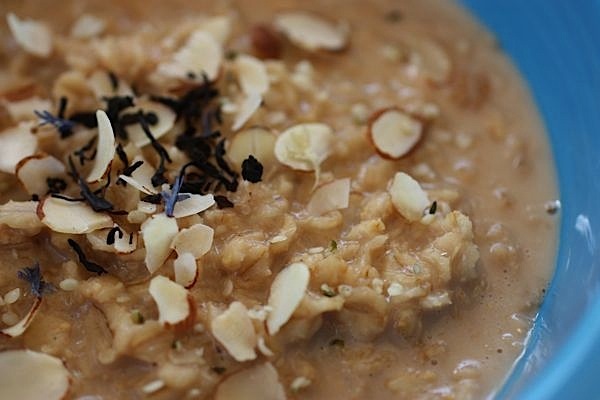 If you’re looking to switch up your oatmeal, why not try some delicious tea-infused oatmeal for a subtle but delicious new flavor? 2. 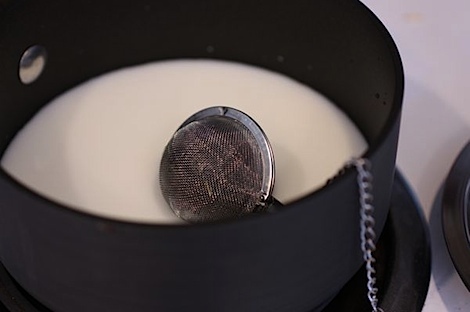 Infuse tea into your oats while you cook them stove top. 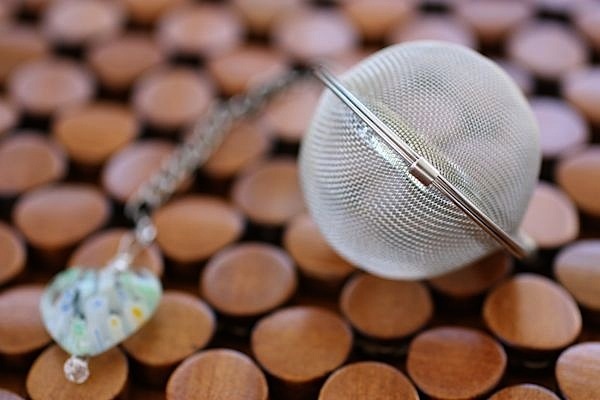 Find a mesh loose-leaf tea holder (you could probably use cheesecloth if you didn’t have one of these). 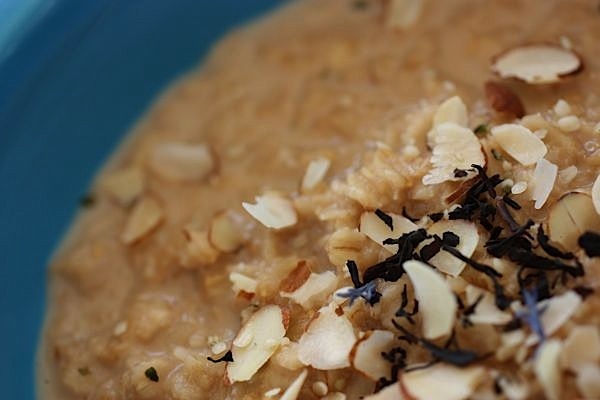 Place into your stove top oats liquid. Cook over low to medium-low heat. You want to get your liquid heated but don’t boil or simmer it. 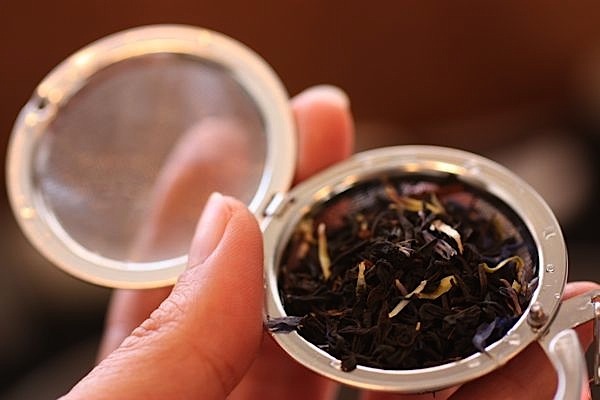 You only need to infuse the tea for 5-7 minutes (I wouldn’t go much longer or your tea may become bitter), same as you would do if you were brewing tea to drink. Try to time when you add oatmeal to the pot accordingly and add the oats whenever you’re ready (I put my oats in almost immediately). Cook your oatmeal over easy heat without simmering or boiling. Once your tea has infused to your liking, remove the tea leaves from the pot. You can continue cooking the oats without the tea leaves if they’re not quite done. 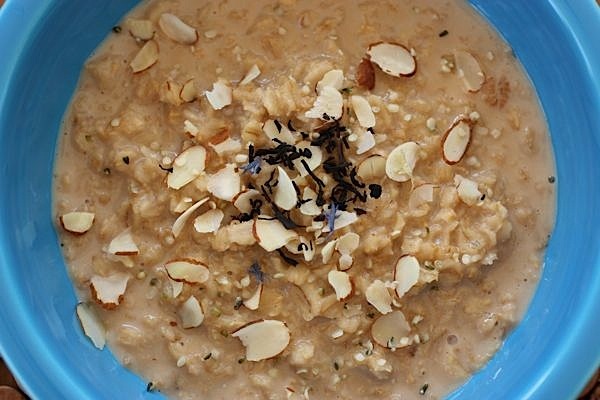 Once your oats are thickened to your liking, simply serve in a bowl and add your favorite toppings. What a great idea. 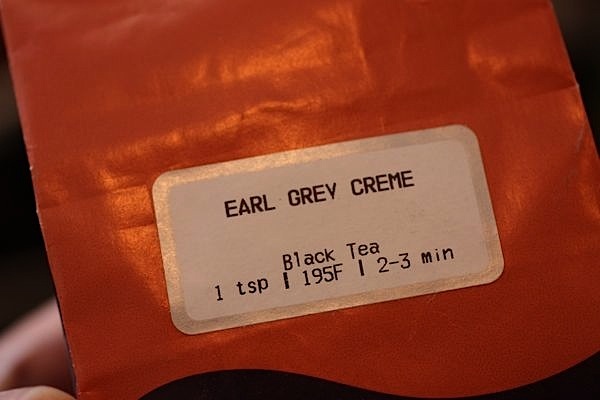 I’m a huge tea fan, just picked up some tea from Teavana today. You should try their strawberry paradiso or the pineapple, both are white tea’s. I’m going to try your oatmeal with a fruity black tea. I love tea infused oats!! I had some gingerbread tea oats before, was so good!!! What a good idea! I can’t wait to try this! This is a brilliant idea! I love both tea and oatmeal so it will be fun experimenting with this!